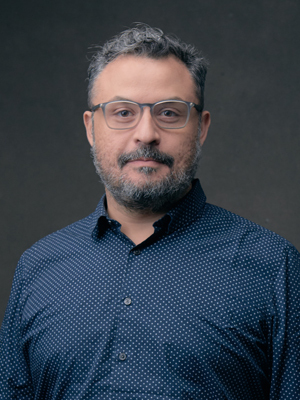 Marco Castro Cosio graduated from the Interactive Telecommunications Program (ITP) at the Tisch School of the Arts at New York University and has worked as curator of exhibitions and art festivals in New York and Mexico. He was director of the MediaLab at the Metropolitan Museum of Art, where he helped the museum to imagine the futures of culture and fostered a network of brilliant and creative professionals dedicated to connecting art and its audiences through innovative activations. Prior to that, he worked as the first Visitor Experience Manager at the Queens Museum. As an artist, his work nourishes urban communities in practical and playful ways, such as his project, Bus Roots, which seeks to equip the roofs of urban buses with lightweight roof gardens. Marco contributed to the series proposed by the UN, Rio +20, and is a member of the Climate and Urban Systems Association (CUSP). He was a TED speaker in residence and is currently a Visiting Scholar at the Institute for Public Knowledge at New York University, an artist in residence at NYU Digital Future Labs and a Research Fellow at the Brown Institute for Media Innovation, within the School of Journalism at Columbia University.